Are you trying to make your home look better? Are you trying to sell your home in the coming months? After all, research has found that proper landscaping care can increase a home’s value by as much as 13%. However, regardless of your reasons to landscape, you are likely going to want to save as much money as possible throughout the process. In this article, we will be going over the top 8 landscaping tips for landscaping on a budget. Mulch is something that every proper landscape needs to have. Not only can it freshen up your flowerbeds, but it can save you a ton of time and money in the process. You can save a ton of money on mulch by getting it for free. The best way to do this is by looking out in your community for it. Some communities actually offer free pickup of lawn waste which can be effectively and efficiently turned into mulch that is just as effective as paid mulch. All you need to do for a lot of cities is simply bring a utility bill that proves you live within the respective cities limits and they will provide you free mulch. One of the biggest problems in keeping a landscape in proper shape are weeds. Weeds can ruin the entire look and feel of a garden before it ever even has a chance. If you feel as though you are in a constant struggle with dealing with weeds, you are going to want to look into creating your own homemade weed killer. The best way to do this is to mix together a gallon of white vinegar, 2 cups of salt, and a couple drops of dish detergent. This homemade solution has the ability to eliminate weeds extremely quickly. It generally takes around one to two days for it to actually begin working, but it can help you kill off unwanted weeds for a fraction of the price of actual market weed solutions and/or hiring a company to handle it for you. Some gardeners utilize an even cheaper method which is to use boiling water. They get rid of weeds by simply pouring the boiling water directly onto the weeds and avoiding the plants that you do not want to damage. Because it does not cost a dime, it is a method that wouldn’t hurt trying. The equipment that you use in order to maintain your lawn is going to be the most expensive purchase and part of maintaining your lawn. Therefore, you are going to want to be sure that you save as much money as possible on your initial purchase. Are you planning on purchasing a gas lawn mower? If so, you will want to save as much as you possibly can on it. This means that you will want to shop around in order to find the retailer that is selling lawn mowers at the best price. You should be able to do a lot of the comparison shopping online. This is going to be your best bet at finding the best overall price on a lawn mower. Be sure to shop during big sales and/or to use coupons for the ultimate amount of saving. You are going to want to light up your yard in order to make it look as good as it can look. The best way to do this is with LED lights. Because they have now been on the market for a long time, they can be purchased relatively cheaply and they will help maintain your yard with proper lighting for a long time without having to be replaced. Another huge way to save a good amount of money on your landscaping is by only using local foliage and plants. This is going to keep your costs down. Another tip that you should use in order to save as much money as possible is buying your plants the smart way. Be sure to have someone or test your soil yourself and monitor the climate to make sure that you choose plants that will thrive in the various conditions. You are also going to want to be sure to mow your lawn on a regular basis. 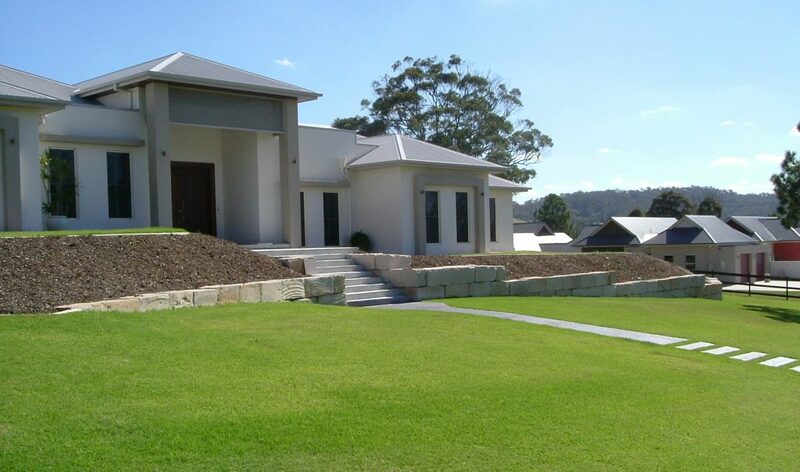 Freshly cut lawn can make just about any lawn look well maintained and cared for. Therefore, you will want to make sure that you are consistently mowing your lawn on a weekly basis to keep up with the maintenance of it. Lastly, you are going to want to ask the experts if you need help to maintain your lawn the best way possible. Believe it or not, but asking experts about certain questions you may have can actually save you hundreds of dollars per year in lawn maintenance. We hope you enjoyed our 8 landscaping tips that you can effectively implement in order to save as much money as possible on your landscaping. Remember, landscaping is one of the most important factors to consider when you are trying to increase the value of your home and the appeal of it to both yourself and outsides. Landscaping doesn’t always have to be an expensive investment. There are so many affordable landscaping ideas that will make your garden look elegant during this spring time. There are so many ways to make them last for a longer period of time. This way you cut down on hundreds of dollars as maintenance costs. You can make some affordable landscaping changes to your garden this season, and make the front and backyard look beautiful in the process. This article highlights 7 landscaping ideas that are extremely affordable. Put more native species in your garden. This can help cut cost to a considerable extent. Native plants will become acclimated to the condition of the environment. This means you will not need to spend too much on maintenance. These plants will not attract pests and other insects similar to exotic plants. Ask for recommendations from your lawn care specialist to find out what plants are native to your area. These professionals will look at your soil condition and recommend the best plants for your garden. This will help save money on unnecessary maintenance issues. Soaker hoses are some of the best alternatives to watering your plants every morning or investing on sprinklers. Soaker hoses help release water near the roots of the plants. This will assist the plants to grow more effectively. You can save money spent on expensive sprinkler systems by shifting to soaker hoses. Planting a tree near your home may help to lower your energy bills by lowering the air conditioning costs. Investing in a young tree is quite affordable than buying and planting a grown tree in your garden. They are also easier to maintain and handle in the long run. The species you pick should not have long roots that can damage your home exterior. If you are not sure about what is best for your garden, you can always seek assistance from a professional. Perennial plants come back every year. This saves you money in the long run. If you choose annual plants, you may have to change the plant every year. It costs more money to change plants every year. Perennials plants are available in many colors, sizes and shapes. They require less maintenance than other plants. Seeding or sodding your lawn may depend on the square footage of your garden. Seeding is less expensive than sodding your lawn. You may save money in the long run by employing these methods in your lawn. Stepping stones are a great addition to any lawn. If you need to connect two areas of your lawn through a pathway, stepping stones are the best for the process. This can be done quite affordably in a wide variety of ways. You can either dig holes or lay a mixture of cement on your lawn to prepare it for the process. This can be a labor intensive task at times. It is best to obtain assistance from a stone professional for this matter. If you don’t prefer a seed or sod lawn, the best option would be to go with a pebble or rock lawn. This is a simple and inexpensive method to beautify your landscape. You can also add some shrubs in order to make the pebbles look more natural. You can choose real rocks or plastic rocks for your lawn. In fact, the possibilities are endless when you decide to beautify your garden with rocks or pebbles. Pebbled and rocks require zero maintenance for that matter. This way you are able to save quite a sum of money in beautifying your lawn. In conclusion, the aforementioned 7 landscaping ideas will help beautify your lawn without spending a lot of money in the process. There are so many other ways to beautify your garden with inexpensive landscaping ideas. Choosing such methods will help save your money as well as your time in the long run. Use these 7 landscaping ideas to beautify your garden.